The latest results form the United States "Nations Report Card" (NAEP) are now available for viewing. Check out the BPS Research Digest for the results of their poll of the "most important psychology experiment that has NEVER been done"
noise to the cognitive system through the perceptual system. This study employed structural equation modeling to examine the effects of Cattell–Horn–Carroll (CHC) abilities on reading decoding skills using five age-differentiated subsamples from the standardization sample of the Woodcock–Johnson III (Woodcock, McGrew, & Mather, 2001). Using the Spearman Model including only g, strong direct effects of g on reading decoding skills were demonstrated at all ages. Using the Two-Stratum Model including g and broad abilities, direct effects of the broad abilities Long-Term Storage and Retrieval, Processing Speed, Crystallized Intelligence, Short-Term Memory, and Auditory Processing on reading decoding skills were demonstrated at select ages. Using the Three-Stratum Model including g, broad abilities, and narrow abilities, direct effects of the broad ability Processing Speed and the narrow abilities Associative Memory, Listening Ability, General Information, Memory Span, and Phonetic Coding were demonstrated at select ages. Across both the Two-Stratum Model and the Three-Stratum Model at all ages, g had very large but indirect effects. The findings suggest that school psychologists should interpret measures of some specific cognitive abilities when conducting psychoeducational assessments designed to explain reading decoding skills. 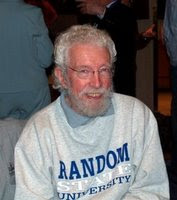 John Horn's official APA obituary was just published in the most recent American Psychologist. Other obituaries and information can be found by going to a prior post. All the news thats fit for IQ's Corner readers: If you like this feature, consider signing up to receive a free copy of IQ's Corner Headlines on a daily basis (sent directly to your email inbox). Go to the bottom of this blog page and sign up for this free service. Thanks to Happy Neuron for the FYI re: an article in the International Journal of Neuroscience on the effects on mobile phone use on the brain. Thanks to Mind Hacks for the link to an annotated guide to widely praised books on the brain. Positive Technology Journal has an interesting post on the use of virtual reality technology to help MS patients improve their walking skills. 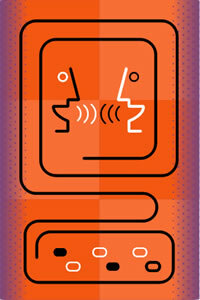 A new issue of PsycCRITIQUES is available online. If you are a subscriber, please go to http://psycinfo.apa.org/psyccritiques and log in. 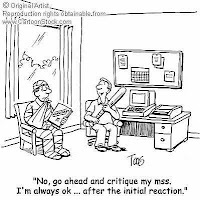 If you would like subscription information, please go to http://www.apa.org/psyccritiques. If you have a subscription to the product and experience any access problems, please go to http://members.apa.org/memhelp1.html. Reviewer: Jerry A. Morris, Jr. Thanks to Sharp Brains for the FYI post regarding one of the classic tests in neuropsychology...the Stroop test, a measure of inhibition and impulse control (a component of executive functioning). Check it out and take an on-line example of the task. 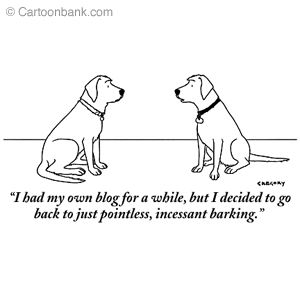 Check out the Science Blogging Survey post at Omni Brains and participate by providing feedback re: the impact of blogs on the outside world. Thanks to the Neuroetchics and Law Blog for the post with links to a number of reviews of books dealing with various topics in the neurosciences. Another book that purports to describe the history of intelligence tests and to point out all the usual flaws. 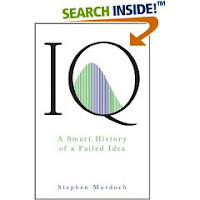 A review of Stephen Murdoch's book "IQ: A smart history of a failed idea" is available at globeandmail.com. Thanks to my friend "up north" (Rick Norman) for the tip re: this news story. I haven't had time to skim this book...and probably won't bother to purchase it. This weeks recent literature of interest can be found by clicking here. Technorati tags: teaching tool. psychology. educational psychology. school psychology. Thanks to the Brain Injury blog for the sad news re: evidence of extensive brain damage to WWE wrestler Benoit. In an attempt to provide some balance, I decided to lift Brad's response from the NASP listserv and post it here at IQ's Corner. This will allow others to become aware of Brad's arguments and should help save bandwith on these two lists---as Brad (and others) can then simply refer people to this more permanent post at IQ's Corner for Brad's arguments and thoughts [Note to Brad - maybe this post can save you from having to repeatedly articulate your thoughts and ideas on the listservs...just insert a URL link to this post.]. Also, in the past other voices have been heard in response to Brad's arguments, challenges and claims. I would encourage any of those voices to contact me if they want to provide a counter-response (iap@earthlink.net). Please note that my posting of Brad's response does not mean I endorse his arguments or claims. They are presented "as is." As blogmaster I would LOVE it if authors of the other articles in the special AN issue would respond with written responses I could post in the form of blog posts. I mean no offense to Ruben Lopez, as he seems well-intentioned, but this is clear evidence of why the Watkins et al. results are so problematic, and could be seen as unethical. Why? Because practitioners such as Mr. Lopez read the positions and analyses of these authors, and conclude they "appear reasonable" (quote from Mr. Lopez). Then Mr. Lopez goes on to conclude "So, I won't disregard the full scale solely because of scatter". If the analyses are wrong as I suggest, this is clear evidence that at least one practitioner (and likely others) has been misinformed by this study, and this affects his (their?) practice of psychology. This is very sad because in the rebuttal paper of this very same special issue (Hale et al., 2007), statistical analyses are provided that clearly show the errors in the Watkin's paper. Yes, errors. Those are strong words folks, yep. I wouldn't say they were errors unless I was convinced the data shows they are errors. It is all there in black and white folks. It isn't a matter of opinion, rather one of fact, and I challenge any statistician to go on record to say that the Watkins analysis is right, and our rebuttal analyses are wrong. *Please*, statisticians only! These are complex statistical arguments and it would be best if statisticians determine who is correct. Whether you believe in the value of global IQ or not, that is not the issue. The issue has solely to do with statistical analyses. Again, please have any statistician who is willing to come forth and show/argue we are wrong, please do so. Please have them provide their full name and other identifying information so they may be contacted at a later date. As for why people would continue to value and/or support papers that have significant statistical errors, or even be willing to publish them- that is up to the reader to determine. I won't even speculate because that could be seen as an ad hominem attack. I do find it interesting that someone could read one article in the special issue and say it is good, but not mention the other articles, which show it is not! If I am right, and these analyses are statistically inappropriate, and they are used to inform practitioners about clinical practice (as are many of the other papers produced by this academic group - which we also show in the rebuttal paper), there is a serious ethical problem here. I have personally contacted the authors and directly informed them of the statistical errors in other papers, and I have also contacted editors. We have also shown why the analyses are wrong in several published works. Yet, the works by this academic group continue to be endorsed by others, even those with the statistical sophistication to know better. It is a sad day in science when people's opinions and values superseed the facts. I guess we have to ask ourselves as a profession a very important question. Are we guided by scientific fact or fancy? It is up for all of us to decide. Please do forward this email to anyone you think is willing to reply, including Drs.Watkins and Glutting. The following is a guest post by Ruben Lopez, school psychologist with the Moreno Valley Unified School District, CA and member of the IQs Corner Virtual Community of Scholars. Rueben reviewed the following article and has provided his comments below. The tests studied were the third (III) (1991) and the fourth (IV) (2003) editions of the WISC and the first (1992) and the second (2) (2002) editions of the Wechsler Individual Achievement Test (WIAT). Scores on these tests from three final samples consisting of 412, 412, and 136 students obtained during standardization were analyzed. Two of the samples were described as “linking samples”, samples of students whose scores on the WISC and WIAT were analyzed for standardization to determine the relationship between intelligence and academic achievement. One of the samples consisted of students who had actually been evaluated and found eligible for special education under specific learning disability, emotional disturbance, or mental retardation. The data appear to be substantial. At least for now, for me, the application is to not disregard the full scale score if there is too much scatter. So, I won’t disregard the full scale solely because of scatter. On the other hand, I note that recent Woodcock-Johnson-III studies provide strong evidence that some component scale scores—reflecting broad CHC factors—are significant predictors of academic achievement that definitely should be considered.